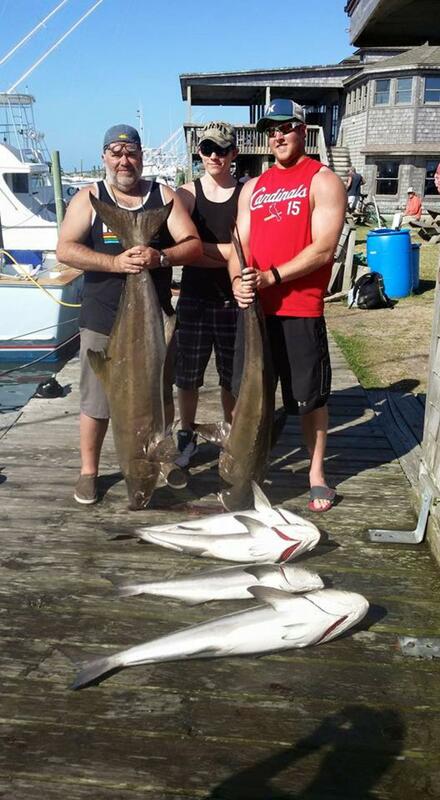 Another great day cobia fishing. Caught a 79 and 59 first thing this morning then picked at the small fish all afternoon. Caught plenty of throw backs today as well. The smaller ones are starting to show up which usually means that they won't be here much longer so you better give us a call now before it's too late. We have a couple days open early next week after that these fish will probably be gone.